I have been thinking about this and that, and I am not selling on Getty and Adobe sites enough, so I have started with another agency and it’s British based, so that should be good, called Alamy, so now I supply 3. But with just starting with Alamy I find it easy use. We will just have to see over the next few months. Well I have been out a few times this month with Martin, the first place we went to was Barnsley Main, an old colliery in Barnsley. I just like the place, and the shape of the old pit head is very photogenic. 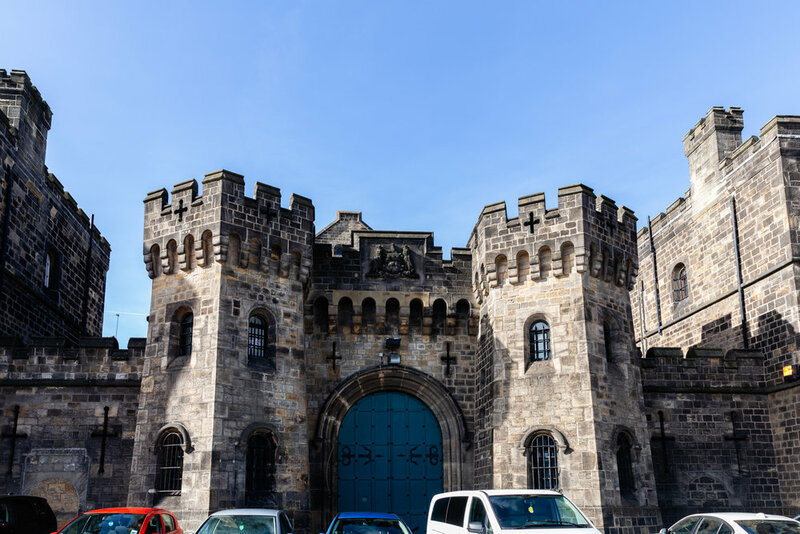 The next was Leeds, as on a wanted list on the Alamy site, they wanted some images of the prison at Armley! So me and Martin went dressed in black with balaclavas!, and I took some. It was harder then I was expecting as there were a lot of cars parked by the old entrance, but I did manage to get 13 images to send, and all of them were excepted by Alamy. I have not yet tried Getty and Adobe as I don’t think they will. Sue has now finished Chemo in Doncaster, and has started with Radium in Sheffield, so it’s a trip to Sheffield every weekday for three weeks, then it’s a wait for 2 months to find out if the Cancer is gone.